Welcome to our blog, where we go over all the benefits of touring wine country, using our transportation service, and drinking delicious wine, of course. In our last post, we went over the different white wines that you may see on your Santa Ynez Wine tour. Not only that but also what white wines pair best with certain dishes. If white wine taught us anything, it was that it is a light, fresh, and a sweeter wine. Red wine is fairly the opposite. Most red wines are robust, daring, and bold. At Silk Road Transportation, we want you to open your palette up to all the unique and delectable wine you will be partaking in Santa Ynez. We also want you to be well informed so you can look like a pro among the rest of your party on your wine tour. 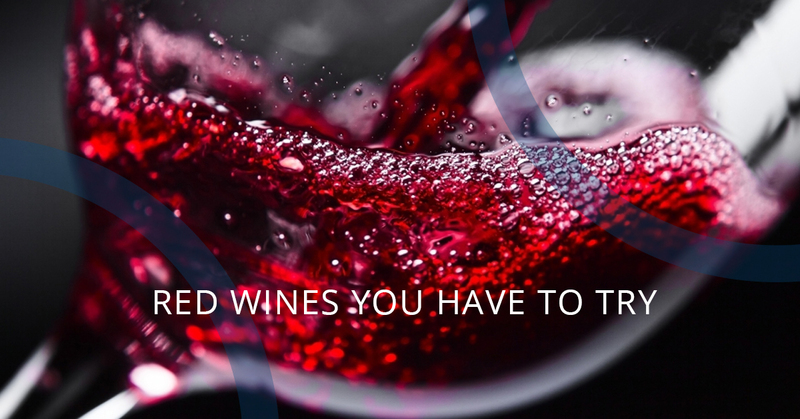 In this post, we are going over all the benefits and tastes you may experience when trying red wine within California. Having knowledge about many types of wine will ensure you have a great experience on a Santa Ynez wine tour. Merlot is a name you should be familiar with if you have any type of knowledge about wine. Even if you have never tried wine before, merlot is something you always see and hear from a wine list. Merlot is a popular red because of its drinkability and beautiful coloring. This red wine is versatile and is a great beginner for the newbies out there. This red has a softness you won’t encounter with many others. A merlot also tends to have less tannins, which means it is not as full bodied like the rest on our list. Merlot is great when paired with any type of dish, and thus defines it as a red wine that is versatile with any meal. When you taste a merlot, you will get hints of black cherry, plum, and even some herbs. You definitely have to try a Santa Ynez merlot on your wine tour. Even if you aren’t a huge fan of red, this wine tour may change your mind. This red wine is full bodied and great if you like bold taste. A Cabernet sauvignon is usually blended with other cabs and is oak treated, giving it a very earthy flavor. The grapes for this type of red ripen late and gives the wine its character. The coloring is a very deep purple, similar to jam and tastes of black cherries, currants, bell pepper, and other types of herbs. This wine goes well with meat-based dishes that really let the meat’s flavor shine. A Cabernet sauvignon is great for a simple steak dinner. Sometimes, people even tend to note a slight vanilla undertone, and this does not come from the taste, but from the oak aging. This red wine is really going to stand up to red the wine persona. It is herbal, tart, dry, and what you want to invite your taste buds to in Santa Ynez. A Pinot is made with grapes that winemakers don’t particularly love. The reason for their disdain is that these grapes tend to have a mind of their own. Grapes used for Pinot Noir are quite demanding and very unpredictable. Pinot Noirs sometimes get their very own vineyard because they are so special. This wine is pure, as in, not blended with any other combination. Pinot Noirs are going to give off flavors and aromas of less fruity substances. You will experiences notes of tomato, beets, cola, along with plum and cherry. A pinot is best paired with salmon, chicken and lamb dishes. Taste the personality of our special Pinots in Santa Ynez. This wine may have two names, but that might be because it is one of the best of the red wine selection. This type of red is full bodied and needs to do some aging before it can be consumed. You can find this type of red blended or on its own, both deliciously wonderful. Syrah is a wine that you will see a lot of in California because it is one of the best wines we make in wine country. A good syrah will give off flavors and aromas of black currant, black pepper, and even meat. High in tannins, this red wine packs the punch you are after. You may also experience a slight taste of toffee, due to the wine aging in oak barrels for an extended period of time. Pair this red with meat dishes such as steak, stew, or even wild game such as elk, caribou, and venison. Similar to merlot, this is an easy drinking and delicious red wine to taste on your wine tour. With being aged in oak barrels, this wine has an earthy yet semi-sweet flavor that will get your taste buds dancing. Malbec is a big player in California wine country and is a staple to try among many of our vineyards. You will get a sour and tart bite with a spicy undertone with this red. It pairs wonderfully with meat-based meals, as well as foie gras. If you love Mexican and Cajun dishes, a Malbec would be a nice compliment to these inspired dishes. Although rose in color, this is still a staple in the red wine family. And, not only is this a staple red wine, it is one of the best in California. The Zinfandel can be a full-bodied red or a light White Zinfandel with that pink tone we all love. Most often, you will taste raspberries, blackberry, and raisins within this type of red. When you pair Zinfandel with tomato sauce, pasta, and barbecue meats, you will be in for a serious treat in Santa Ynez. Red wine is a concoction that needs to be experienced on your amazing and relaxing wine tour in Santa Ynez. At Silk Road Transportation, book your fun day with us, and we will take care of the rest. Ride in style to your wine tour in the comforts of our vehicles. We can take you to all your wine destinations safely and let you really enjoy yourself. Check back for our next blog where we continue to dive into educating you on the amazing attributes of wine.